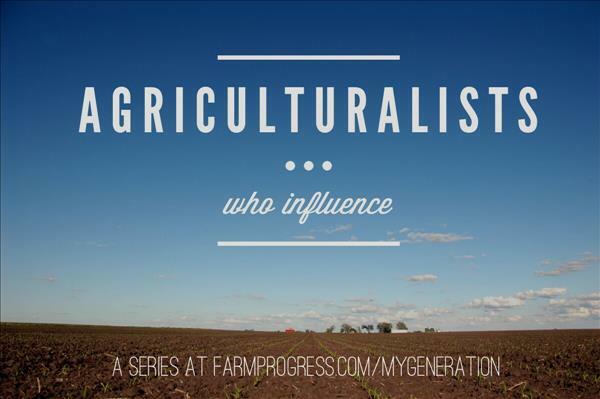 Day 18 of 30: A husband and wife farming team with a heart for young agriculturalists? It's what makes them true influencers. Many years ago, Russ Rosenboom was named a Prairie Farmer Master Farmer. We got to know him and his wife, Marilyn. We learned they were lovely. Shortly after that, we started up the Cultivating Master Farmers program, with Illinois Farm Bureau, Growmark, Monsanto, First Farm Credit and Farm Credit of Illinois. The idea is to get young farmers together with Master Farmers, share ideas, experience and advice over the course of a couple years. A mentoring program, chock-full of opportunities to influence. Russ and Marilyn signed up. Then they signed up again. And again and again and again. And over and over, we've learned good stuff from them. Like the time Russ shared about their family trip to Disney World – kids, grandkids and all. "You can leave them a million dollars, or you can leave them a million dollars' worth of memories," he said. I'll never forget that. Or the time Marilyn shared with a group of young women, "In the end, you won't be sorry if you put your farm and your family first." We were talking about balancing a life between all that's demanded of us, and she made it so simple. And this from a woman who's cooked the meals, driven the tractor, balanced the books and battled cancer, though not all at the same time. She'd be the first to tell you that. In fact, she did say that: "You can't keep the house and do the laundry and fix a big meal when you're in the combine all day." The truth is, over the time I've spent listening to Russ and Marilyn share their hard-earned wisdom, two things have emerged: One, they are shrewd business people. They manage their farm well, and they do it together. It has to pencil out on their Clifton, Ill., farm – or at least, they have to think it will pencil out - or it doesn't happen. And two, they have an incredible heart for the young people of agriculture. It's why they've committed to and rarely missed a meeting over this past decade. It's why you'll see Russ before and after a meeting, engaged in a conversation with a young farmer. Talking over a business idea, or a conversation that needs to be had at home. That's time and energy. And influence. It's what makes Russ and Marilyn a good team. And a good pair of agriculturalists who influence.